Acts of deliberate food contamination are not new in Australia. A significant contamination incident dating back to March 1996 related to the insertion of sewing needles in food. At the time there were seventeen reported incidents of food products being contaminated at a supermarket in St Kilda, Melbourne. Employees and consumers of that supermarket found cropped sewing needles in a range of food products such as apples, frankfurts, cakes and hot cross buns. The offender was a known to Victoria Police. He later admitted to inserting sixty pins in a range of other food products throughout various retail outlets in Melbourne. This initial incident led to additional tampering incidents, later dealt with by Victoria Police. 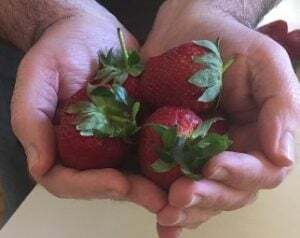 The current national strawberry contamination scare reinforces the need for all food operations to get on the front foot to better manage of types of incidents and business risk. These matters are highly sensitive, require strict confidentiality and decisive action. As a food business owner or manager when you’re notified of an incident of deliberate food contamination it’s critical to immediately notify the Police in your State and Territory. Develop an incident management plan and follow it. Central to your plan is employee training. Know who can and will perform required tasks. Update your key business, regulatory and law enforcement contacts. Review and update your food safety management system. Have a strategy to respond to an internal or external incident (food products coming into your food operation). Develop documented procedures to assist your people to do their job in responding to these incidents. Keep these documents as simple as possible and avoid writing unnecessary documents. Review and test procedures for the recalling or withdrawal of a food product. You will need solid communication protocols and pre-determine who will be the front person representing your food operation (i.e. company director or public relations consultant) to provide clear key messages to suppliers, distributors, consumers and others. Andrew Thomson was a key liaison for the Victorian Health Department with the Victoria Police on deliberate acts of food contamination. He initiated, in consultation with Victoria’s Chief Health Officer and senior Victorian police officers, the development of a protocol for the management of deliberate food contamination incidents within Victoria. It was believed to be the first of its kind in Australia.